Welcome, please make a decision and click on the link to access your area of interest. In the event you would like to speak to one of our consultants, call us. Take a look our unique management development process (click on link for website) "Positive Leadership Practices©"
Our experience in Human Resources, Training and Management enables us to deliver cost effective solutions and add value to your organisation, when you most need it. Strategic and operational challenges are faced by all businesses. Whether it is a time of growth or decline, additional support can relieve the pressure on your own resources, saving you time and money. By working in partnership with you, we provide tailored practical solutions to your Human Resource problems and Management Development requirements. Our Mission is to deliver in partnership, tailored solutions that deliver change to your organisation and your key resources (your workforce). 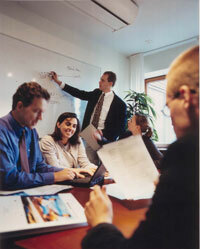 Human Resources professionals, with extensive experience in HR and Training. Delivering a service to businesses, specialising in training and development providing clients with “hands on” consultancy, mentoring and training. Based in Sussex we can support your business in a range of areas. "We will really miss you enormously"
Send mail to webmaster@changesolutionsuk.com with questions or comments about this web site.